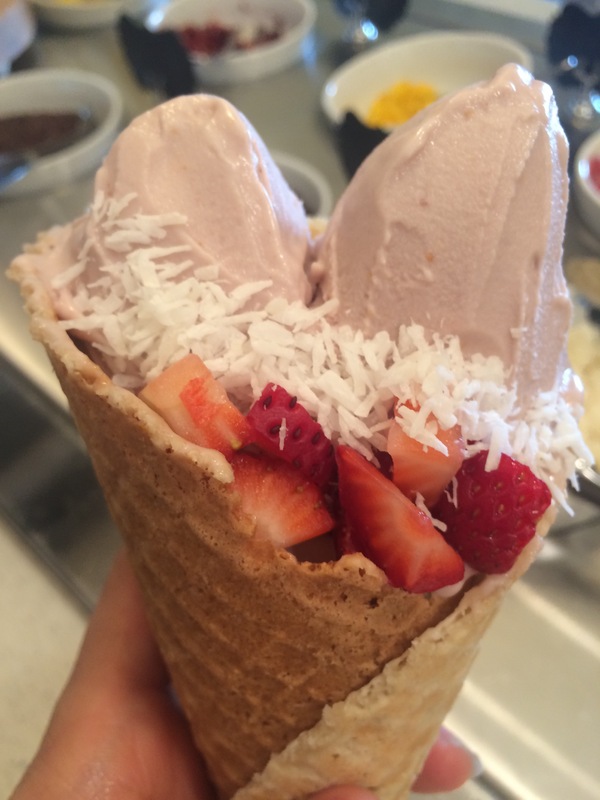 We had a great day at Yoga-urt yesterday. We were offering buy one and get the second one for half off as a Valentine’s Day Special and whether that is why people came or not, it was our best day in a while. It also didn’t hurt that it was a hot day. I had so much fun talking to all of the different people yesterday. Lots of couples, lots of families, lots of new people, and lots of regulars. I asked this one couple if they had been here before and they said once, it was one of their first dates. How cool is that!!!! Lots of people drove from far away – Hollywood, Brentwood, Sierra Madre, etc. and that means a lot! Saturday was good too and it feels like this might be the beginning of our next phase. I’m both excited and a little nervous about what might come as the days become longer and hotter, and we will inevitably get busier. It’s almost the same way I felt around our opening – butterflies, excitement, exhaustion, and disbelief that this is actually happening and my dream has come alive! We almost ran out of 4 Flavors yesterday. I thought we made enough to get through Monday, but just barely, we made it through Sunday. Luckily, I had someone scheduled to come in this morning to make more so we are fully stocked for today as I think we will be busy again. It really bothers me when we either run out of a flavor or a machine isn’t working as I hate to disappoint people, so I’m so happy we didn’t run out yesterday. As we are getting busier, I’m starting to interview people to get ready. We need another soft serve maker and will need more cashier/servers soon. 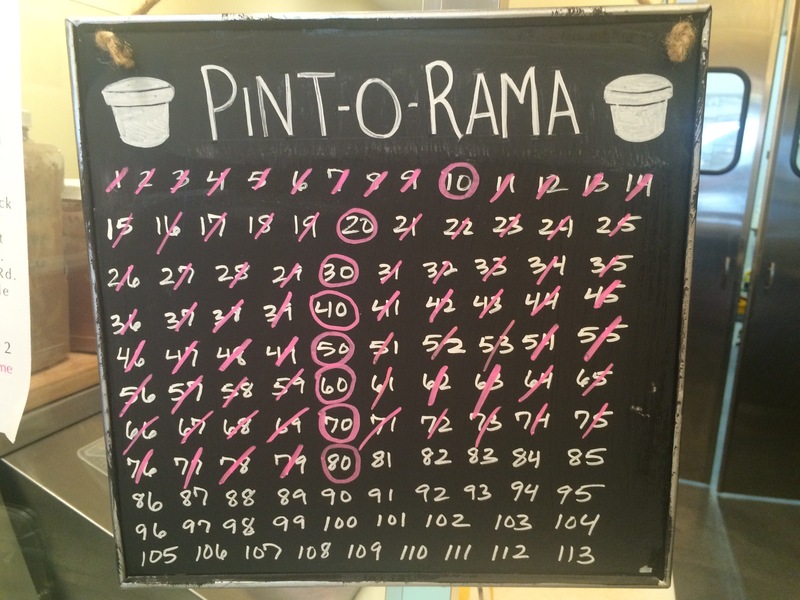 Our month of February Pint-O-Rama is doing pretty good too. We are at 80 pints so far! Thanks to all who came out this weekend and here’s to some exciting times ahead!